This article is about the year 1593. Wikimedia Commons has media related to 1593 . 1593 ( MDXCIII ) was a common year starting on Friday of the Gregorian calendar and a common year starting on Monday of the Julian calendar , the 1593rd year of the Common Era (CE) and Anno Domini (AD) designations, the 593rd year of the 2nd millennium , the 93rd year of the 16th century , and the 4th year of the 1590s decade. As of the start of 1593, the Gregorian calendar was 10 days ahead of the Julian calendar, which remained in localized use until 1923. January 18 – Siamese King Naresuan, in combat on elephant back, kills Burmese Crown Prince Mingyi Swa on Monday, Moon 2 Waning day 2, Year of the Dragon, Chulasakarat 954, reckoned as corresponding to January 25, 1593, of the Gregorian calendar, and commemorated as Royal Thai Armed Forces Day. January 27 – The Roman Inquisition opens the seven-year trial of scholar Giordano Bruno. 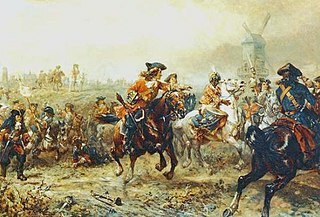 February 2 – Battle of Piątek: Polish forces led by Janusz Ostrogski are victorious. February 12 – Battle of Haengju: Korea defeats Japan. March 7 (February 25 Old Style) – The Uppsala Synod discontinues; the Liturgical Struggle between the Swedish Reformation and Counter-Reformation ends in Sweden. March 14 – The Pi Day, giving the most digits of Pi when written in mm/dd/yyyy format (Flemish mathematician Adriaan van Roomen arrived at 15 decimal places of Pi in 1593, using the polygon approximation method). 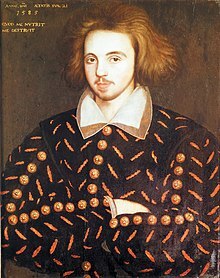 May 18 – Playwright Thomas Kyd's accusations of heresy lead to an arrest warrant for Christopher Marlowe. 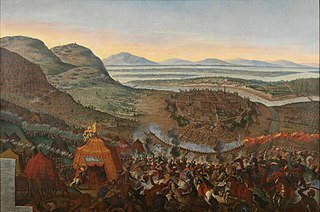 June 22 – Battle of Sisak in Croatia: The Habsburgs defeat the Ottoman Empire. July 29 – The Long War breaks out in Hungary, between the Habsburgs and the Ottomans. The Siege of Pyongyang was a military conflict fought between the allied Ming-Joseon army and the Japanese First Division under Konishi Yukinaga. The battle ended in victory for the allies but a successful retreat from Pyeongyang by the remaining Japanese in the night of 8 February 1593. 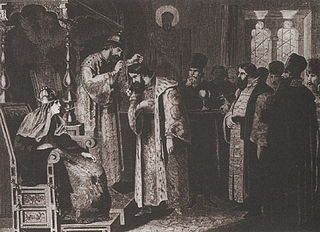 Mihai Viteazul becomes prince of Walachia. Henry Constable's Spiritual Sonnetts are written. The book Controversiae is written by Robert Bellarmine. c. 1593-1604 – According to John Warwick Montgomery, the Rosicrucian manifestos are initially composed by Tobias Hess, in anticipation of the opening of the vault in 1604, according to Simon Studion's apocalyptic timetable. Henry Constable was an English poet, known particularly for Diana, one of the first English sonnet sequences. In 1591 he converted to Catholicism, and lived in exile on the continent for some years. He returned to England at the accession of King James, but was soon a prisoner in the Tower and in the Fleet. He died an exile at Liège in 1613. Saint Robert Bellarmine, S.J. was an Italian Jesuit and a cardinal of the Catholic Church. He was canonized a saint in 1930 and named Doctor of the Church, one of only 36. He was one of the most important figures in the Counter-Reformation. 1648 (MDCXLVIII) was a leap year starting on Wednesday of the Gregorian calendar and a leap year starting on Saturday of the Julian calendar, the 1648th year of the Common Era (CE) and Anno Domini (AD) designations, the 648th year of the 2nd millennium, the 48th year of the 17th century, and the 9th year of the 1640s decade. 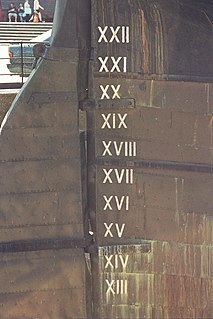 As of the start of 1648, the Gregorian calendar was 10 days ahead of the Julian calendar, which remained in localized use until 1923. Caterina de' Medici was Duchess of Mantua and Montferrat as the second wife of Duke Ferdinando and Governor of Siena from 1627. She was the second daughter of Grand Duke Ferdinando I of Tuscany and his wife Christina of Lorraine. 1629 (MDCXXIX) was a common year starting on Monday of the Gregorian calendar and a common year starting on Thursday of the Julian calendar, the 1629th year of the Common Era (CE) and Anno Domini (AD) designations, the 629th year of the 2nd millennium, the 29th year of the 17th century, and the 10th and last year of the 1620s decade. As of the start of 1629, the Gregorian calendar was 10 days ahead of the Julian calendar, which remained in localized use until 1923. Jacob (Jacques) Jordaens was a Flemish painter, draughtsman and tapestry designer known for his history paintings, genre scenes and portraits. After Peter Paul Rubens and Anthony van Dyck, he was the leading Flemish Baroque painter of his day. Unlike those contemporaries he never travelled abroad to study Italian painting, and his career is marked by an indifference to their intellectual and courtly aspirations. In fact, except for a few short trips to locations in the Low Countries, he remained in Antwerp his entire life. As well as being a successful painter, he was a prominent designer of tapestries. Like Rubens, Jordaens painted altarpieces, mythological, and allegorical scenes, and after 1640—the year Rubens died—he was the most important painter in Antwerp for large-scale commissions and the status of his patrons increased in general. However, he is best known today for his numerous large genre scenes based on proverbs in the manner of his contemporary Jan Brueghel the Elder, depicting The King Drinks and As the Old Sing, So Pipe the Young. Jordaens' main artistic influences, besides Rubens and the Brueghel family, were northern Italian painters such as Jacopo Bassano, Paolo Veronese, and Caravaggio. Claude Vignon was a French painter, printmaker and illustrator who worked in a wide range of genres. During a period of study in Italy, he became exposed to many new artistic currents, in particular through the works of Caravaggio and his followers, Guercino, Guido Reni and Annibale Caracci. A prolific artist, his work has remained enigmatic, contradictory and hard to define within a single term or style. His mature works are vibrantly coloured, splendidly lit and often extremely expressive. Vignon worked in a fluent technique, resulting in an almost electric brushwork. He particularly excelled in the rendering of textiles, gold and precious stones. Sun Chuanting, courtesy name Boya, was born in Shanxi; he was the late Ming Dynasty's Defence minister, and field Marshal (Dushi). He led 100,000 Ming troops against Li Zicheng's 700,000 troops. He was defeated and killed by Li in the Battle of Tongguan (1643). 1631 (MDCXXXI) was a common year starting on Wednesday of the Gregorian calendar and a common year starting on Saturday of the Julian calendar, the 1631st year of the Common Era (CE) and Anno Domini (AD) designations, the 631st year of the 2nd millennium, the 31st year of the 17th century, and the 2nd year of the 1630s decade. As of the start of 1631, the Gregorian calendar was 10 days ahead of the Julian calendar, which remained in localized use until 1923. 1583 (MDLXXXIII) was a common year starting on Saturday of the Gregorian calendar and a common year starting on Tuesday of the Julian calendar, the 1583rd year of the Common Era (CE) and Anno Domini (AD) designations, the 583rd year of the 2nd millennium, the 83rd year of the 16th century, and the 4th year of the 1580s decade. As of the start of 1583, the Gregorian calendar was 10 days ahead of the Julian calendar, which remained in localized use until 1923. ↑ "Historical Events for Year 1593 | OnThisDay.com". Historyorb.com. Retrieved 2018-04-05.